She has been called “the most powerful person making TV right now” by Elle Magazine in a recent interview where editor-in-chief Robbie Myers interviewed the ground-breaking Shonda Rhimes about the current landscape of TV and how diversity is becoming an issue that is now the standard, thanks to shows like ‘Grey’s Anatomy’, ‘Scandal’, and ‘How To Get Away With Murder’. But Shonda insists she is not diversifying TV at all. In fact she is normalizing it, and said as much in a powerful speech at a Human Rights Campaign gala back in March. 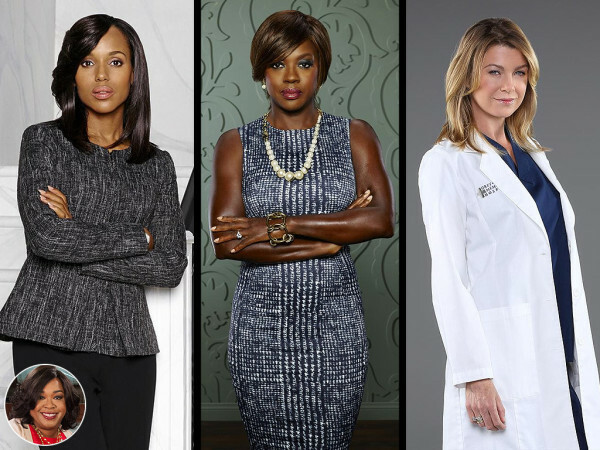 “The mere fact of Shondaland, and Rhimes’s ability to front television’s biggest shows starring complex, conflicted women, is, in the annals of the medium, downright revolutionary,” writes Robbie. Given that she has single-handedly changed the forced audiences and networks to take a closer look at important issues (in a way that has overwhelmingly translated to ratings successes meaning people are interested in the topics she is presenting) we can easily see why anyone would want to know her opinion on anything. She talks with Robbie about feminism, power, and police brutality. The power she brings to the entertainment world is how she redefined what people think of as “normal” on their screens. “The entire world is skewed from the white male perspective. If you’re a woman, they have to say it’s a female-driven comedy. If it’s a comedy with Latinos in it, it’s a Latino comedy. ‘Normal’ is white male, and I find that to be shocking and ridiculous,” she said. Being an African-American woman, Shonda also wants to use her shows to teach audiences (who may not already be aware) that even within the black community, there are so many diversities and complexities, and one race does not deserve to be lumped in as one group. “There is this weird belief from people on the outside and from people in black communities that there is only one way to be black. And I say it in the writers’ room all the time: My Black Is Not Your Black. What’s terrifying is that, just the same way we’ve all accepted that normal is white, everybody seems to buy into the idea that there’s only one way to be black or one way to be Hispanic. That’s as damaging as anything else,” she explained. She doesn’t shy away from including issues such as police brutality or any other current topics that are being seen in the news everyday. Shonda mentions how one episode featuring gun violence toward a member of the black community which happened just after the Ferguson incident where unarmed black man Michael Brown was shot dead by a policeman, made her second guess whether it would even be relevant by the time it went to air given the quick news cycles. “We shot that episode in October or November. I remember thinking, This is going to feel dated when it comes out. And then the police just kept killing black men. Literally the [day before] it aired, they released the Ferguson Report, and it was worse than the press had ever thought,” she said. We’re sure this may be the one exception to an episode of her show still being culturally relevant simply because of the continuum of gun violence and police brutality toward black men and women. Often there are very sensitive issues such as politics, race, violence and how power is disseminated toward communities which get prime headlines in the media, but nowhere else. We all know newsmedia can be incredibly biased at times so the entertainment and creative industries can often play a very important role in helping people discuss the issue and digest it in a different way. That’s essentially what Shonda is doing with her shows. In an exclusive interview with Lena Dunham for her Lenny Letter, Hillary Clinton recently talked about the issue of police brutality and points out how disheartening it is that even though segregation has ended and all Americans are afforded equal rights, we are challenged with race-fueled violence almost every day on the news. “We’ve made progress, but not nearly enough. And we can’t continue to make progress if we’re not even honest with ourselves that we still have problems,” said Hillary. Sometimes being honest about an issue can only happen if we step away from the noisy news media and see it through the eyes of a character on screens, or hear it discusses in a stand-up comedy routine, or understand it as it is played out in a fictional piece of literature. Feminism is another topic that Shonda has been able to share from her point of view, especially in light of there being a lot of discussion around how “white feminism” too often excludes women of color and even the LGBTQ community. 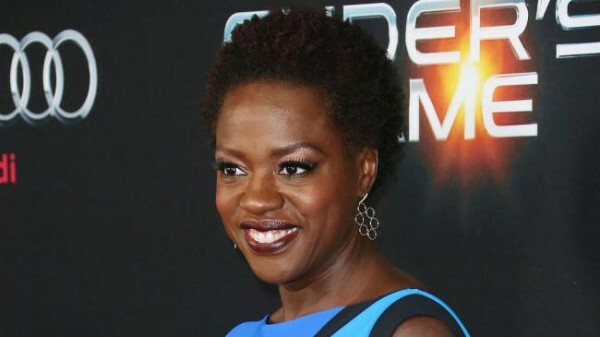 On an episode of ‘How To Get Away With Murder’ in season 1, one of the most talked-about scenes was when Viola Davis takes off her wig and shows her natural hair. Shonda says it was a way to present the issue of women feeling like they have to cover part of their authentic selves in public just to maintain status quo. “I feel like it was, to me, the most iconic feminist moment I’ve ever seen on television. She pitched it when we were trying to get her to do this series, and I thought, Wow. I feel like, for Viola, one is more real than the other. For [Annalise], it was the mask she presents to society, and the person she’s been trying to hide all this time,” she said. One of the ways ‘Grey’s Anatomy’ paved the way for new an interesting characters on television was the way Shonda presented certain situations as normal. There is always a sense of “oh they wouldn’t do that in real life” that happens in the creation of a show, but Shonda ain’t afraid to really show what’s real! “For many showrunners, you have one black character or one Asian or one female, and then that character seems to represent everybody in your head—as opposed to making that character a person. And then all they can talk about is: I’m black or I’m Asian. It’s one of the reasons why I loved Grey’s: It made it impossible for anyone to say, Well, that character can’t say that,” she said. None of this television revolution would’ve been possible if Shonda Rhimes didn’t believe in her own power. It’s a message we like to share a lot – being your own biggest cheerleader first and foremost – as the world misses out if you don’t live up to your full potential. In the case of Shonda Rhimes, the world truly would miss out on such rich, complex and important characters and storylines if she did not believe in her abilities. Yet being a black woman in a white male-dominated industry certainly did pose its challenges. “I realized I was never going to get any further than I was if I just allowed myself to be the very nice girl who wrote stuff. And I had other things that I wanted to do. All of the things that are possible are never going to happen if you’re busy waiting for someone to give you something. You have to take it,” she said. Powerful words from a powerful woman. 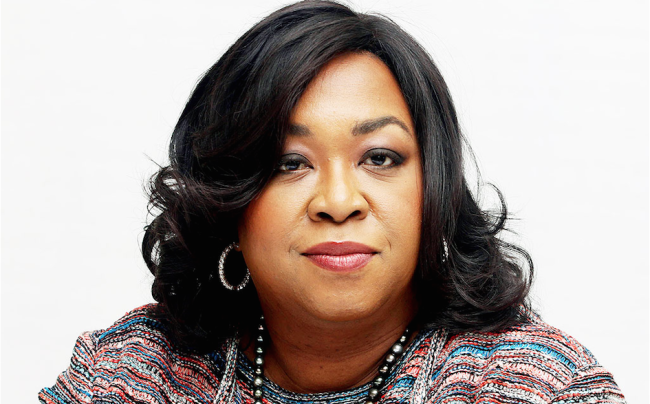 We truly believe Shonda Rhimes is such an important role model not just to screenwriters or producers, but to ALL women and people of color who have ever been told or felt they are an outsider. The idea of being categorized as an “other” is damaging, and it will take a collective effort where all of us marginalized voices speak up loud enough to become the majority.